Sometimes you have to pay-to-play in order to drive meaningful engagement online. Digital ads are becoming the cheapest and most effective way to engage new or existing audiences on social media and other platforms. Before you commit your dollars, make sure you understand these basics so you can help your nonprofit spend as efficiently as possible. Join George Weiner, founder and CEO of Whole Whale, as he guides you through fundamentals of digital advertising: audience targeting, message creation, optimizing, and measurement. You will walk away with the skills you need to set up a digital advertising campaign that drives awareness, engagement, or leads. George will show you how to run informative A/B tests, use the data to inform marketing decisions, and drive measurable impact with ads. The best part? You don’t need a lot of money to do it! George will teach you how to make the most impact using digital advertising on Facebook with just $100 a month. George is the Founder and CEO of Whole Whale, a digital agency that leverages data and tech to increase the impact of nonprofits and for-benefit companies, and the co-founder of Power Poetry, the largest teen poetry platform in the U.S. George’s breaching moment in ideating Whole Whale came from his 7 years with DoSomething where, under his leadership as CTO, the organization became an innovator in social media, mobile technology, and social causes. In his time at DoSomething, George oversaw the complete overhaul of DoSomething.org twice (winning a Webby Award and nominations) and helped to build a community of over 1.5 million young people taking action. 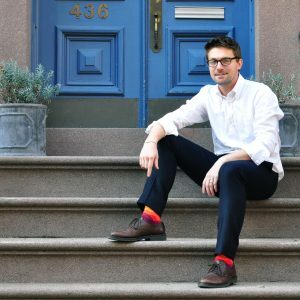 Realizing that much of DoSomething’s success was owed to smart, lean use of many democratized tech tools (including Google Analytics and the Google Ad Grant), George founded Whole Whale with the goal of helping nonprofits both storied and start-up to move their missions forward with the tools at hand.